Ah, the romance of the travel writer’s life! I write this article sitting in my cozy, secluded little writer’s bungalow nestled above pristine white sand dunes, overlooking the crashing, foaming ocean surf. Seagulls wheel silently overhead. I’m drinking the finest Sumatran designer coffee that money can buy and today, as usual, words are pouring effortlessly from my fingers onto my computer. It’s almost Zen-like. Already this morning, several magazine editors have sent me emails begging me to write articles for their magazines, all offering $1/word. This afternoon the postman brought a fistful of envelopes containing 4-figure checks. My work is booked for the next six months, and my credit card has just been upgraded to platinum gold+. I fly first class on my travel assignments, but will travel business class if I’m forced to slum it. The airline staff recognizes me, of course, because I’ve been published so many times in their in-flight magazine. At my destinations, I stay in uber-luxury resorts and spas. There’s always an enormous gift basket waiting in my room, filled with fresh fruits, fine wine, and other stuff that I could probably flog off for a small fortune. All of my travel expenses are paid when I’m on assignment. On a recent trip, one magazine editor drove me to the airport and popped a company credit card into my top pocket, saying, “There are no limits on this card—we just want you to have a good time. You’re our most prized writer”. Reality Check: This is my typical day -- in my dreams. Anyone who has done freelance travel writing will know this scenario is an exaggeration. Okay, fine, it’s closer to complete fabrication! Travel writing has an aura of romance that is hard to dispel. 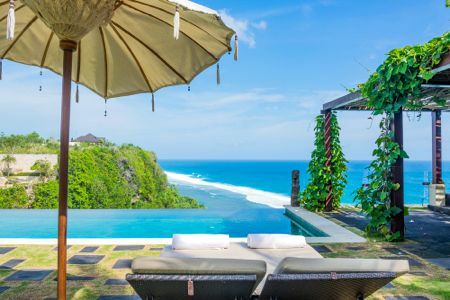 We love boasting about the best things that happen on our travels - luxurious resorts, spa treatments, gourmet meals, exotic adventures, and so on. Travel writing can be a lot less refined and a lot more rough and tumble than you might imagine. The reality is a different beast indeed. It takes a lot of hard work. And, like any business, it sometimes has an unsavory side. 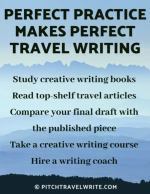 In this post I’m going to share with you some of the realities of travel writing. This is the part we rarely discuss but these are things you should be aware of if you're just getting started. First, you need to be aware of some of the heartbreaks so that you can decide if the travel writer’s life is for you. Second, you can be prepared so when they happen to you, you’ll know you’re not alone. These things happen to all of us from time to time. Read them and weep. What's more important is you know how to handle each of these when they occur. There are a few things that happen on the dark side business. I'm going to list the more common ones and give you some advice if these things happen to you. 1. Sometimes an editor accepts an article for publication, but you never get paid because the magazines folds. When this happens, start pitching again and find another home for it. 2. An editor accepts your article for publication and then fails to publish it. And, for some unknown reason, the editor also fails to reply to your follow-up emails inquiring about the fate of the story. You’re left in limbo. A few editors are as capricious as Paris Hilton and seem to think our work is as disposable as toilet paper. If you encounter them, take them off your distribution list - now! And tell your other travel writer friends about them. These editors are not professionals. 3. Some editors happily publish your article and then forget to pay you. You’ll need to practically threaten an editor that you’ll send Dominic and Tony around to collect the money owed to you. I’ve had editors stall for one or two years before finally making payment! Although I’ve been very lucky and get paid (eventually), I’m still owed a couple thousand dollars by one crooked e-zine editor. I'm sure I’ll never see that money. Once I received a long overdue payment from a magazine, and it went bust soon after. Sometimes there’s some justice. At least I got my money. And in their final issue I found a story idea that earned me a nice profit in a rival magazine. Oh, the irony. 4. Occasionally a magazine’s check will bounce, costing you bank fees. If you’re lucky they’ll make good on the check, but you’re usually stuck with the bank fees. 5. The editor sends a snarky, condescending reply to your query letter. I’m not talking about a usual rejection letter here - those are fine. What I'm talking about are unwarranted and personal comments - a reply that can only be described as unprofessional. 6. Magazines pay according to their own schemes and their own timetables. I’ve been paid $1/word for a 500-word blog, $300 for a 5,000-word article (6 cents/word), and everything in between. Some magazines don’t pay at all. There are no standards or regulations about when you’ll get paid, from what I can tell. You might get paid on acceptance of your article, or six months after publication, or longer. Here's a reality check solution: Make sure you understand the magazine pay rates and payment terms before you submit an article so you are not surprised when you (finally) get your check. 7. Travel writers have a reputation for getting everything comped. This isn’t always true. 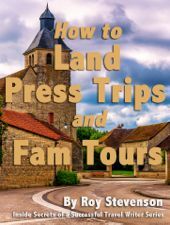 I wrote for a couple years before I figured out how to get press trips and tours comped. And I know lots of writers who fund at least some of their own travels. 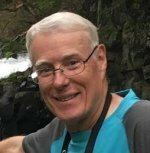 Unless you have a business policy where you won’t travel unless all expenses are paid, travel writers often foot the bill for some portion of the trip expenses. Sometimes you’ll have to pay your own airfare (or gasoline) to get to a destination. Sometimes you’ll have to pay your own lodging (hopefully you requested press rates) and meals are not always gratis. In these situations, you’ll need to presell articles before leaving on trips so you can cover your costs and make a profit. Or, you might decide it’s not worth it to take the trip or write the article. 8. Sometimes a reader will write in to the magazine to point out the smallest mistake in your story, so trivial and inconsequential that you wonder if some people actually have a life. Assuming it truly is trivial, try and laugh about it. Then forget about it. If it's a valid mistake, learn to thoroughly fact check your work before submitting it. So, that’s the travel writing reality check. What can we learn from these hard lessons? First, expunge all editors and publishers from your distribution lists that have shortchanged you, failed to pay you, or been needlessly rude. This would seem to be a common sense precaution. Astonishingly, some writers continue to patronize dishonest editors, almost like abused spouses who never leave a bad relationship. Next, when you’re dealing with a difficult editor but you really want to see your work published in their magazine, accept that there will be an emotional price to pay if you choose to work with this editor. Don’t ever be afraid to ask for money owed to you. You deserve to be paid for your work. When it is clear that an editor is reneging on their debts to you, don’t hesitate to unleash the dogs of war on them. There are numerous ways to collect on such debts, and you should pursue them so relentlessly that eventually the editor or publisher will pay you just to make you go away. Obviously, you won’t write for them again, so get your money and then write them off. Report dishonest editors and publishers to the Attorney-Generals Office and the Better Business Bureau in their respective states. 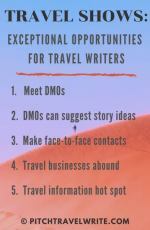 Also discuss your experiences with other travel writers and spread the word about disreputable magazine editors. 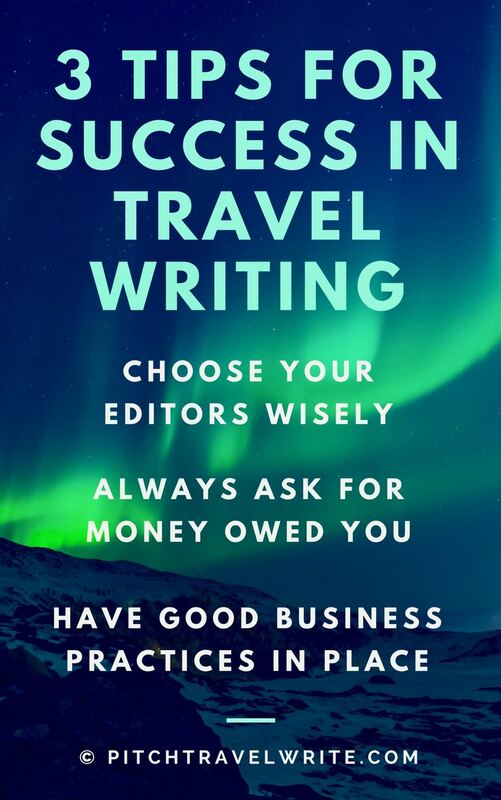 Travel writing is a business and you need to have sound business practices in place. The majority of editors and publishers are honest and trustworthy, so do your part and send invoices so they can pay you in a timely way. Don’t be afraid to send a reminder if they don’t pay after the first invoice. It's also important to have a realistic expectations about how you can make money as a travel writer. As for the deadbeat editors, roller coaster income, and trivial criticisms - we all have days when we encounter these travel writing realities. As long as you keep writing good stories and meeting your deadlines, these things won’t happen often. They are the exceptions. Just keep pitching and focus your energy on all the good things about the life of a travel writer.